In my previous post I described about the reference architecture of API Façade. This post gives implementation details using the WSO2 API Management Platform and the WSO2 ESB. 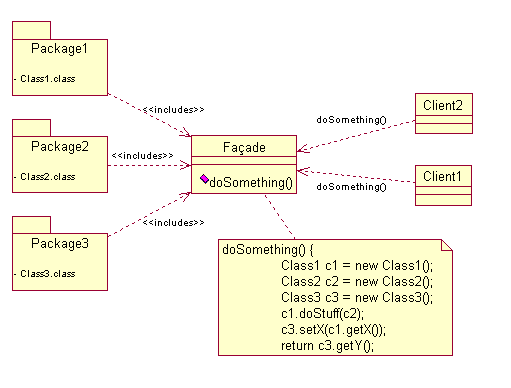 Business scenario: A backend service with SOAP binding required to expose as a RESTful service and secured using OAuth. 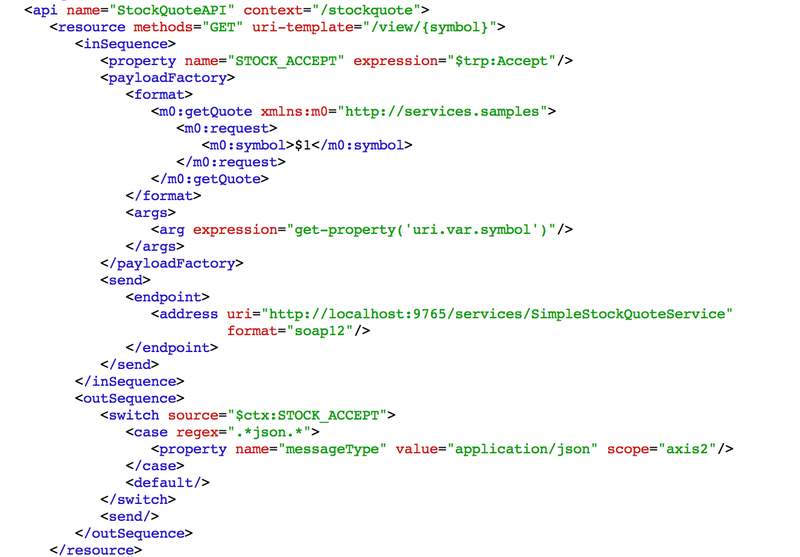 Consumers require responses in either XML or JSON using the same API. 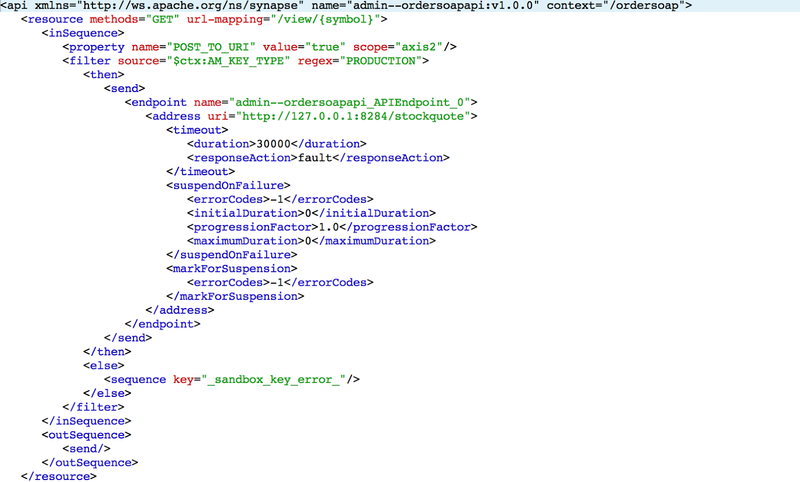 Technical requirements: SOAP to REST protocol switching, content negotiation, XML to JSON conversion. 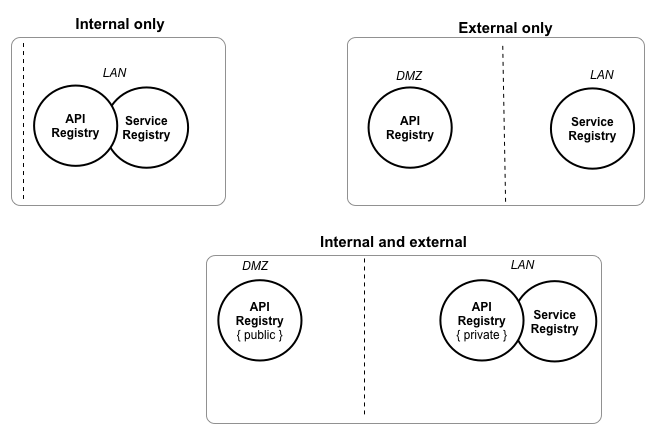 The API Gateway (Gateway is one of the roles in API Management Platform) will expose the RESTful API. 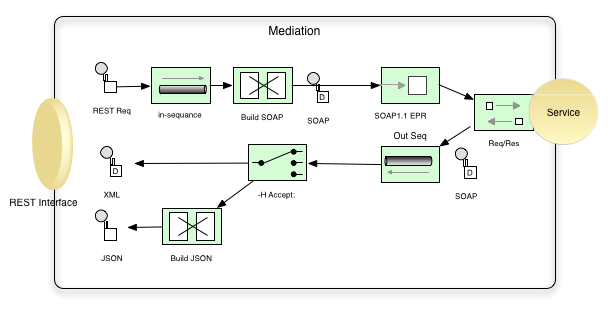 The Mediation layer will do the protocol bridging and connect to a backend service with the SOAP binding. WSO2 API Manager and WSO2 ESB will be the primary middleware components used to build this Façade pattern. Mediation logic (using standard EIP notations) looks like below. 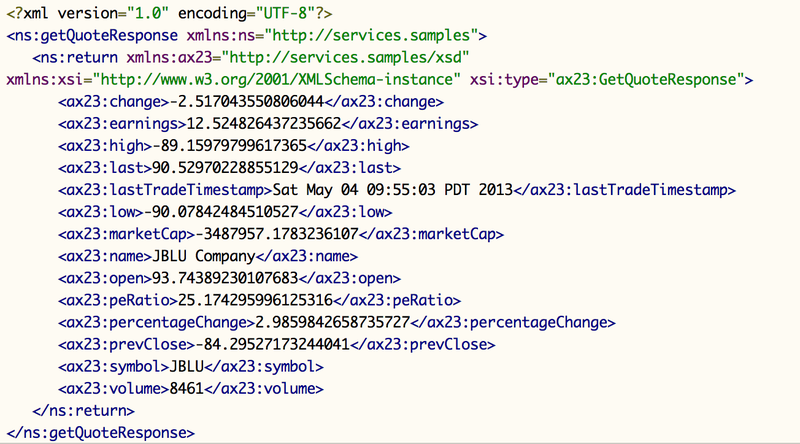 In the above sample WSO2 API Manager running with default offset (0) and WSO2 ESB running with offset 3. Note: If you want to use the anti-pattern of doing both Facade and mediation in the same layer, you can copy the ESB configuration to API Gateway configuration and get the same functional result. Business processes play a major role in complex, long-running business processes in the modern enterprise. Such business processes might automate such business tasks as ordering and billing, customer or employee account provisioning, financial recordkeeping, auditing, and archiving, supply chain management, and many more. Since the BPEL engine exposes the process as a service, consumers can invoke the business process using the service interface and whichever of the bindings is most convenient. However, this integration pattern creates a point-to-point connection between the business process and the consumer – something that over time can result in “SOA spaghetti” and make management and evolution of the SOA platform difficult. The pattern proposed here as a solution avoids this point-to-point connection by introducing a mediation layer using a bus architecture. An Enterprise Service Bus (ESB) presents a face to the consumers, takes the requests to execute the business processes and routes them to the business process services exposed by the BPEL engine. Changes to the system (either the consumers or the BPEL services) can be managed largely within the bus, simplifying versioning, new or alternate protocol deployment, monitoring, security configurations, logging and auditing, migration or scaling of services, etc. The result is more flexibility, greater robustness, and greater insight and manageability of the SOA. Invoking external services becomes an essential part of BPEL logic. As a result, BPEL engines such as the WSO2 BPS need to connect to various other service endpoints within the service platform. Commonly, BPEL activities are wired to service endpoints using direct partner links and service endpoint URLs. As a result, point-to-point integration is created between the business process layer and back-end services. These tightly-coupled P2P connections lead to complexity and limit system changes and enhancements, just the problem we were avoiding by fronting the BPEL service with an ESB! To address this lack of loose coupling for our WSO2 BPS users, we’ve often used a pattern derived from the bus architecture. In a nutshell, this pattern introduces another (conceptually at least) instance of the WSO2 Enterprise Service Bus to mediate between the business processes and the back-end services. Each BPS call that goes to the services layer, does so through the ESB. The ESB invokes the actual services, allowing it to manage all the endpoints and ensures traffic participates in the benefits of routing through the ESB. The diagram above shows two ESB layers. 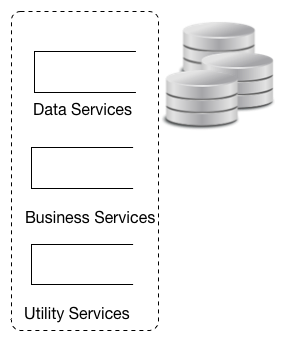 But, in a physical deployment, in most cases, it is deployed as a single ESB instance. Converting the above architecture to a bus architecture helps understand it better. Therefore, lets look at the same thing in a bus architecture. 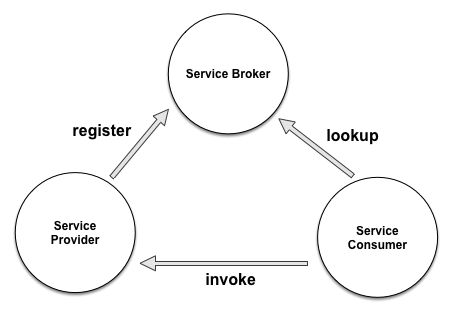 The above diagram shows that all the upstream consumer channels, business process server (BPEL engine) and the services connect to the same ESB. The ESB wires each component. This pattern provides a flexible and clean architecture to integrate consumer channels, business processes and backend services. There are however a few drawbacks to this pattern which need to be balanced with the advantages discussed above. First, this will add a new component to the deployment architecture (the ESB) to be managed in the production environments. Second, two additional layers adding to the communication flows by introducing the ESB may add some latency (typically minimal) to a process invocation. Consider the consequences of these drawbacks when designing your architecture around this pattern.